It's the week of St. Patrick's Day, so what better time to share a DIY that incorporates Guinness beer bottle caps and shamrocks. 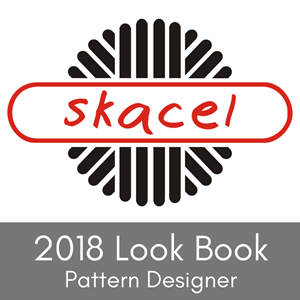 I consider this to be a bit of a hardware store craft, because that's where you can get almost all of the tools and materials for the project. 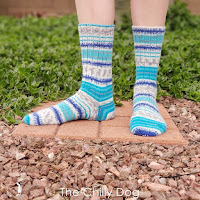 This is a nice project to make in bulk because it's inexpensive and it doesn't take much more time to make a half dozen than it does to make one. Surprisingly, even though we live in the middle of the Sonoran Desert, I have a fairly large patch of shamrocks that randomly appeared in the backyard. If you are not so lucky, you can also buy them to grow as a houseplant at many nurseries. 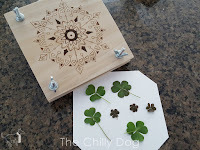 To prep for this project you will need to press your shamrocks. It can take anywhere from a few days to two weeks for your shamrocks to be ready to use. 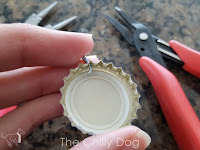 For crafting purposes, when removing a bottle cap from the bottle, use an opener to evenly bend the edges around the cap just enough so the cap comes off. You want the cap to retain its shape as much as possible. 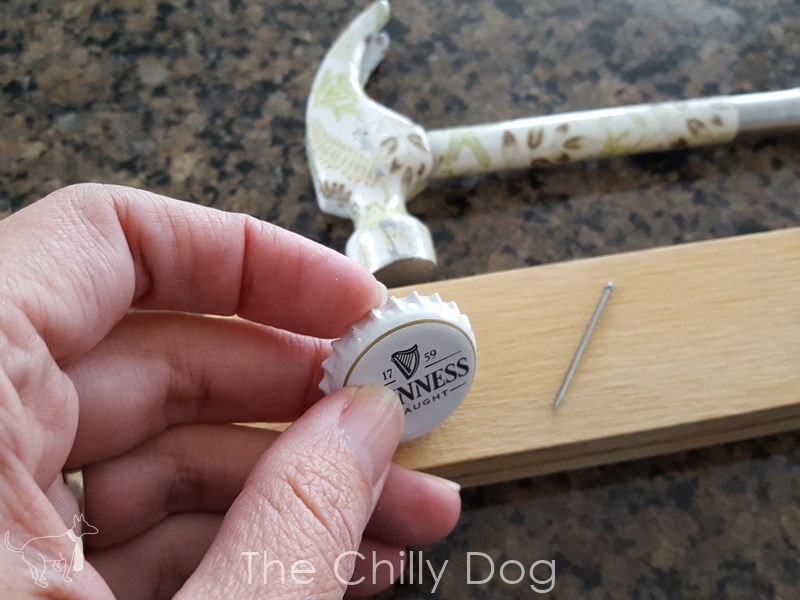 Poke a small hole in the edge of the cap using a hammer and thin wire nail. I recommend placing the hole above the bottle cap branding image. 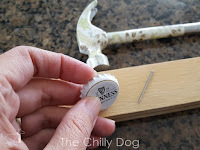 Place the cap on a piece of scrap wood. 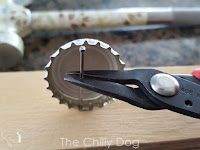 Hold the nail with a pair of pliers and position the nail into one of the grooves at the edge of the cap. Tap the nail to create a small hole. 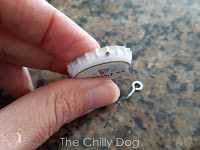 Make sure that the hole is not too close to the edge of the cap. 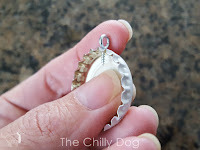 Twist a small screw eye into the hole. Use two pairs of pliers to bend the screw into an "L" shape. You do this so the screw will be nearly invisible after the shamrock is placed. 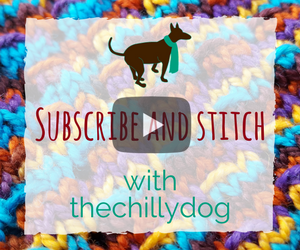 Next, tape the screw eye into place, so it doesn't wiggle around. Set your bottle caps on a protected surface. 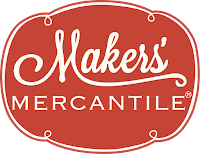 A sheet of parchment paper works well or even a plastic, disposable plate. Place your shamrocks into the bottle caps. Mix the resin according to the package directions in a disposable cup on a protected surface. Do not stir the resin too vigorously. 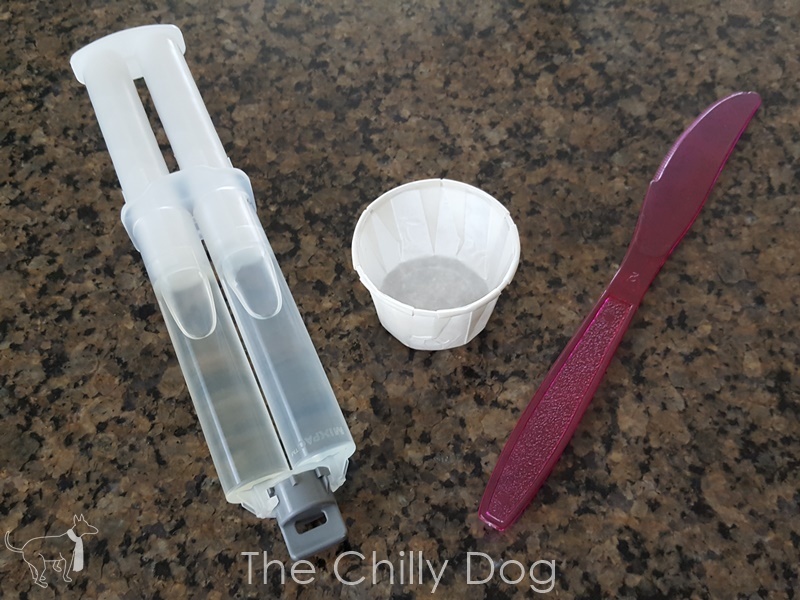 You want to blend the resin without creating a lot of bubbles. Resin is very sticky, messy and hard to clean up, so be careful. 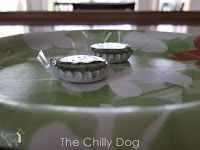 Pour the resin into the bottle caps. 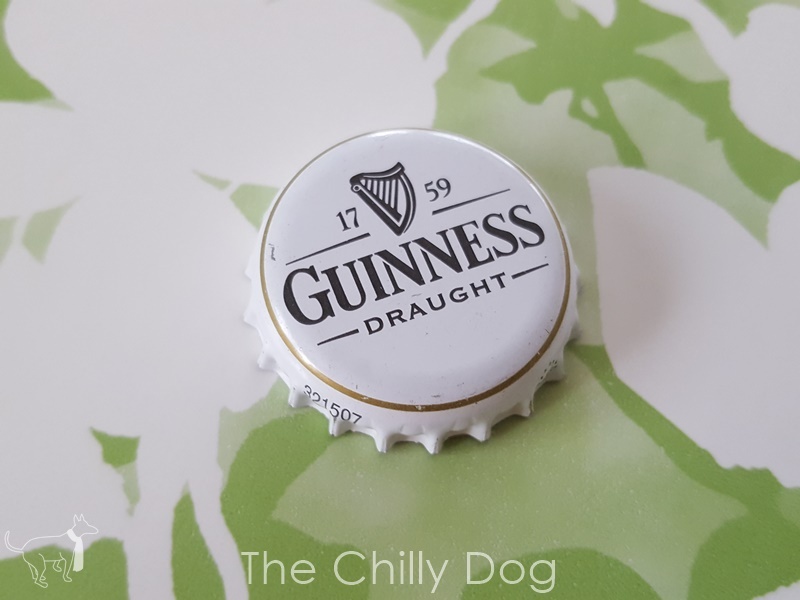 The resin should be slightly higher than the edge of the cap. 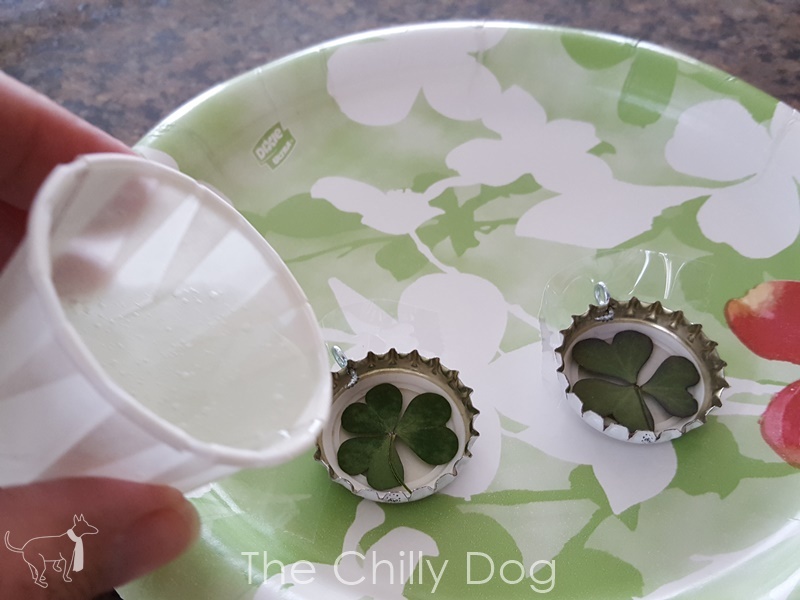 After 20-40 minutes, you may notice that your shamrock has floated to the surface. 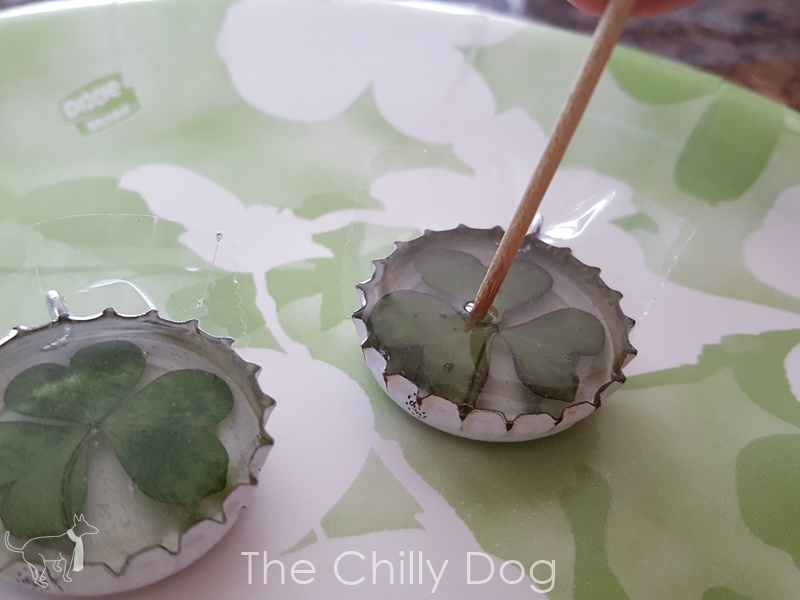 If this happens, use a toothpick to gently press the shamrock back down into the resin so that it is submerged about halfway between the cap and the resin surface. Now the hard part. Do not touch or move the bottle caps for 24 hours. It's so tempting because the resin is irresistibly shiny, but keep your hands off. 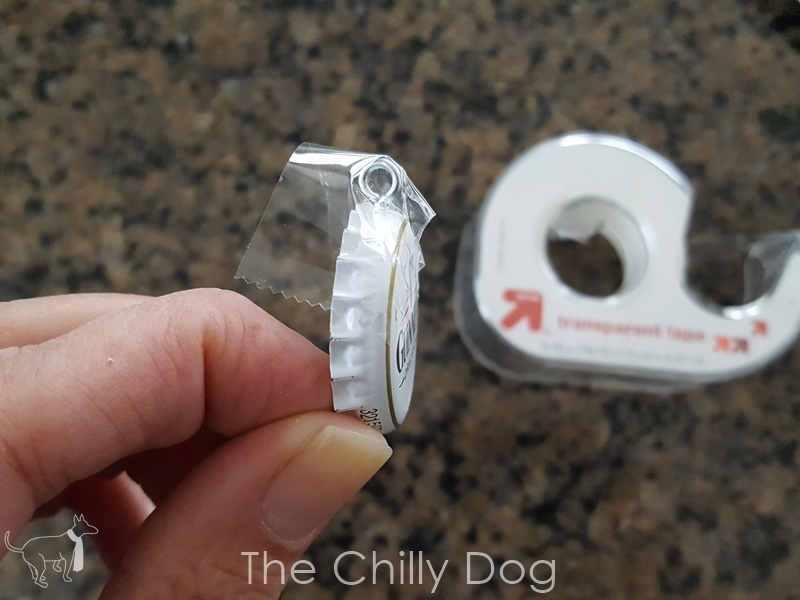 After 24 hours, remove the tape. 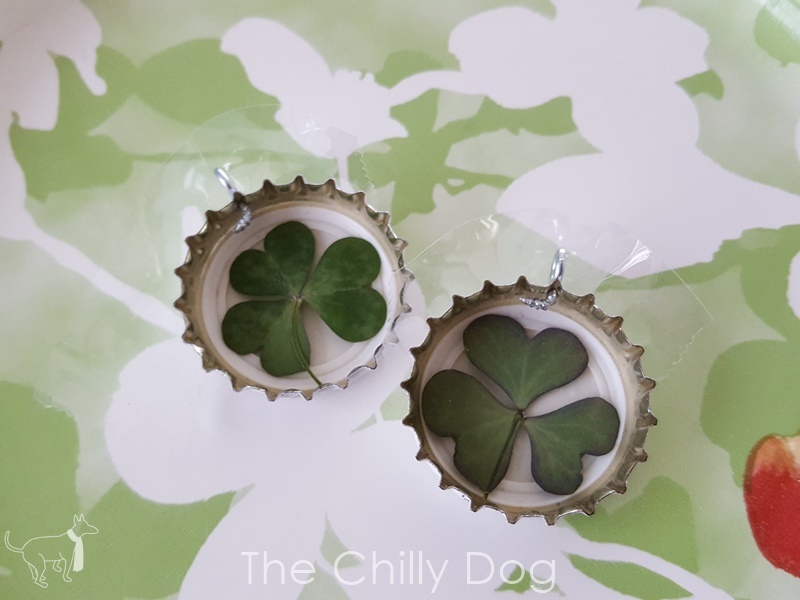 insert a ring into the screw eye and your lucky shamrock key chains are ready to use. 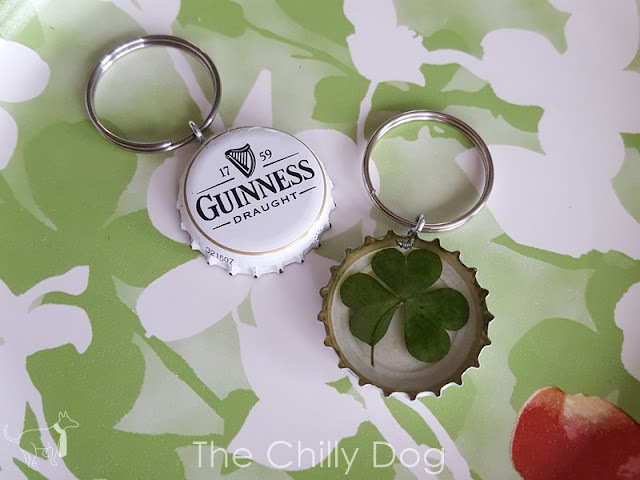 DIY an Irish-themed key ring with Guinness bottle caps and shamrocks for St. Patrick's Day.